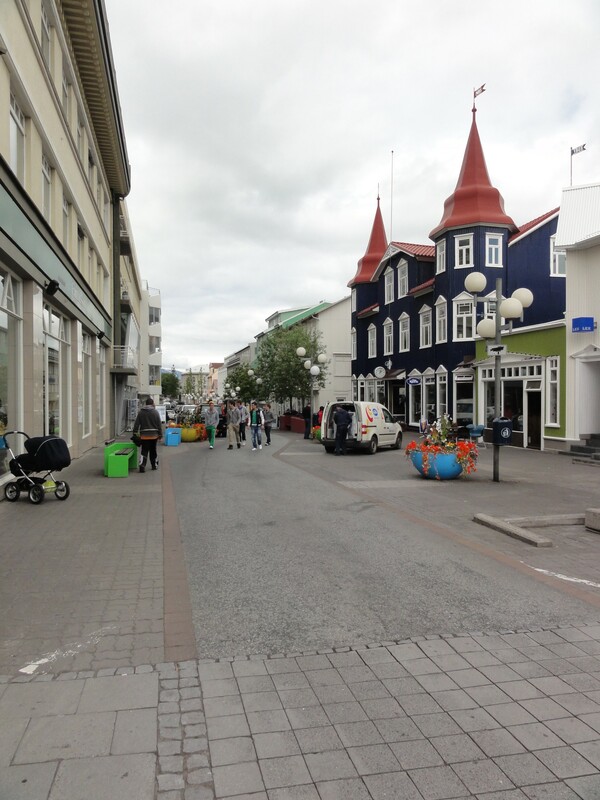 AKUREYRI, ICELAND – Since we finished Travis’ field work a day early, we were able to spend Friday in Akureyri, Iceland’s second-largest city. 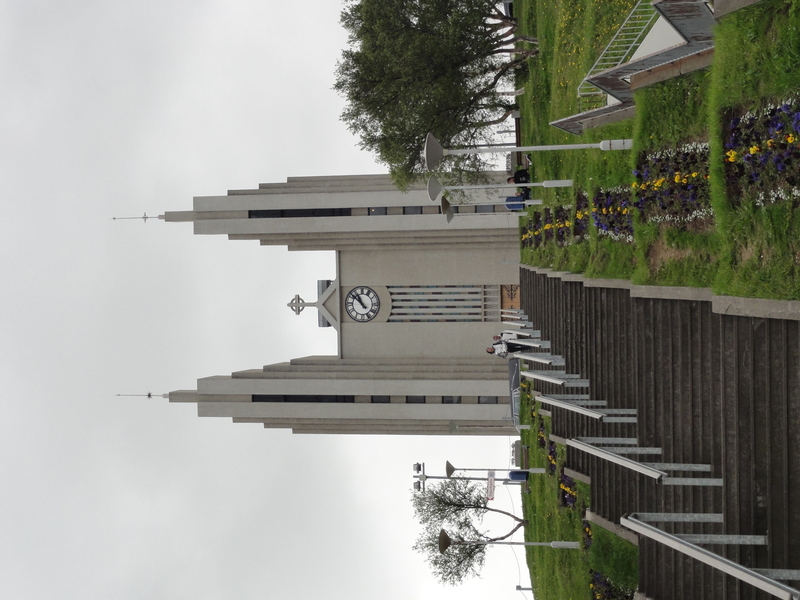 Akureyri has an idyllic location, nestled between a fjord and snow-capped mountains in north-central Iceland. 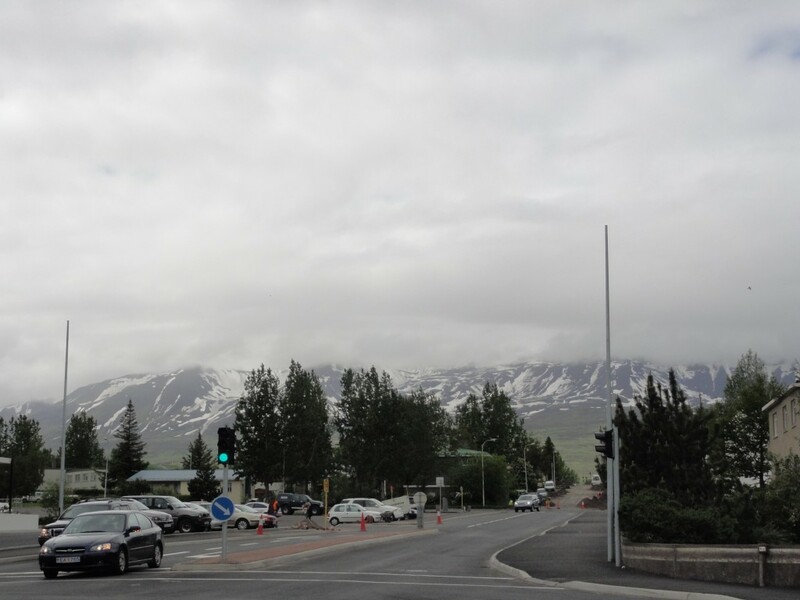 Snow-capped peaks make a scenic background for Akureyri. 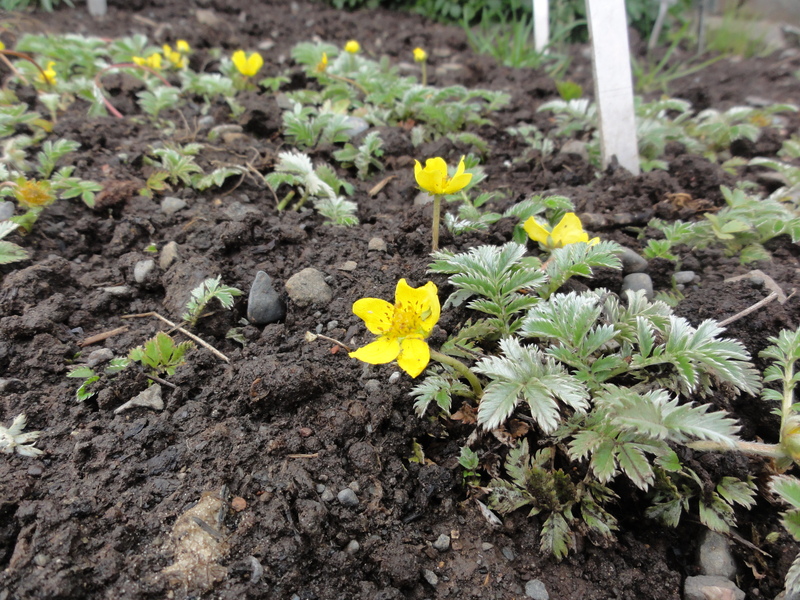 This yellow flower was common in our field areas (it's Icelandic name is Argentina egedii Skeljamura). 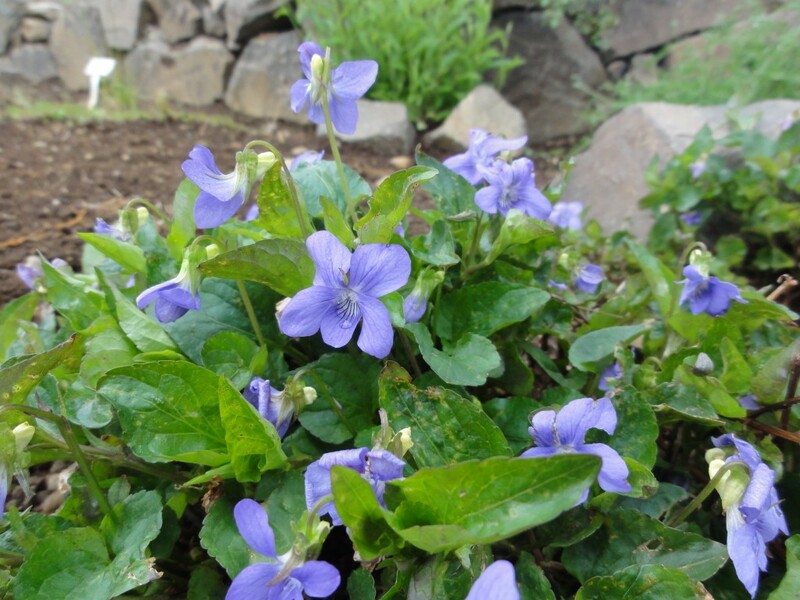 We saw this delicate purple flower often, too (Viola canina Tysfjola). 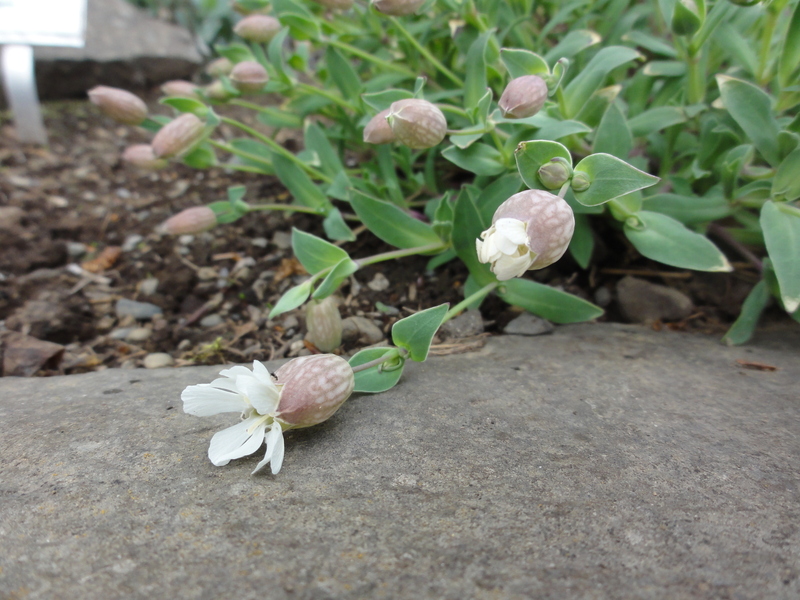 This sweet flower grew in the jagged spaces between rock piles (Silene uniflora Holurt). 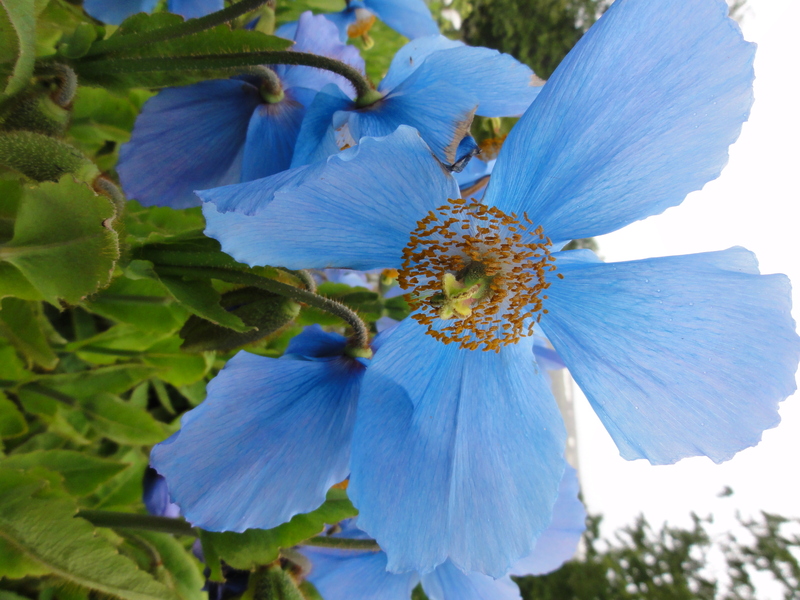 The vivid blue petals of this Meconopsis grandis Fagurblasol were stunning. 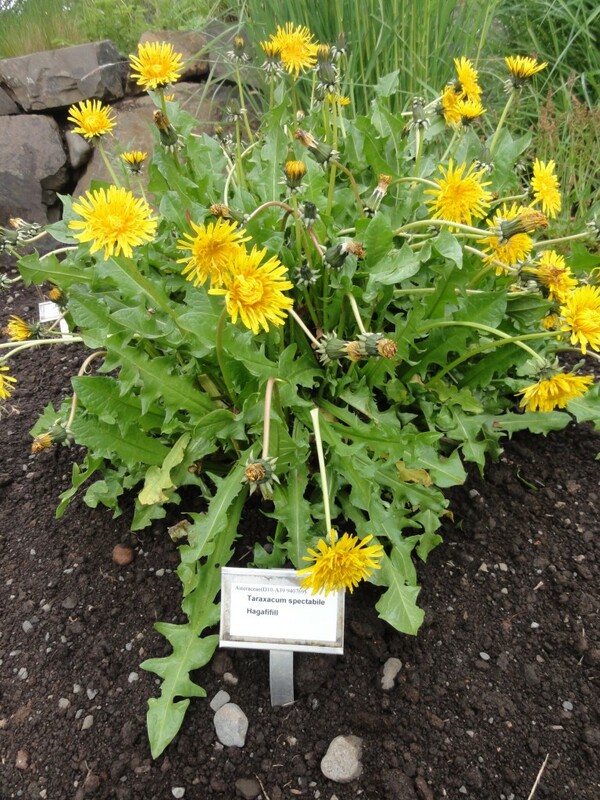 A well-established specimen of our friend, the dandelion. 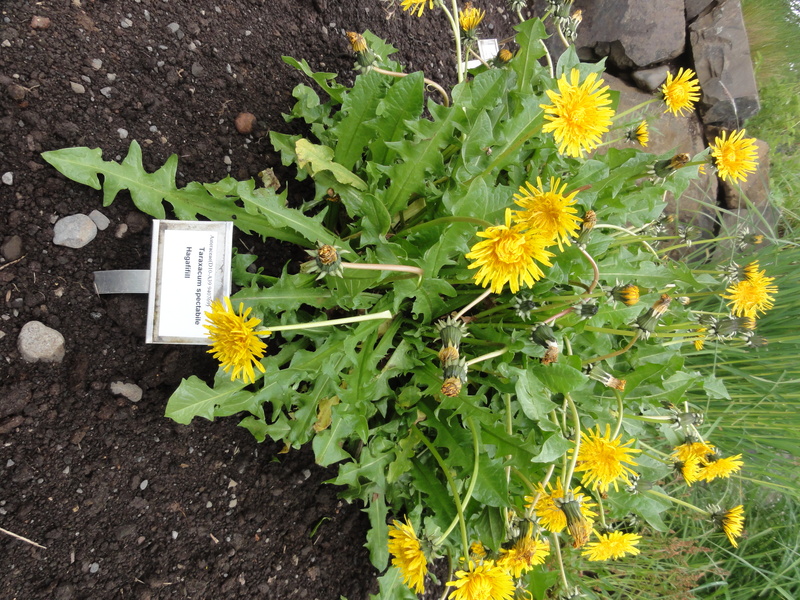 Next to the Botanical Gardens, we contemplated statues on the campus of Akureyri’s University. 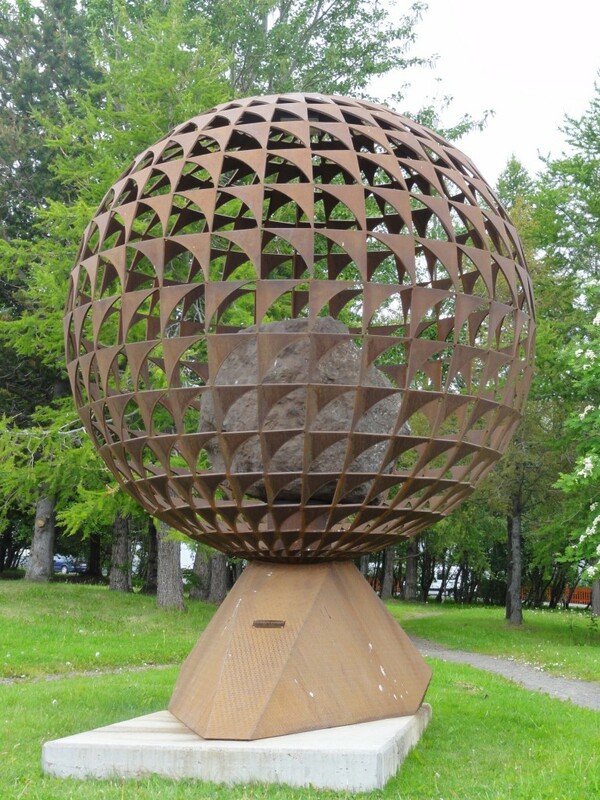 Dr. Pollock interpreted this sculpture to mean that basalt is the foundation of the world. 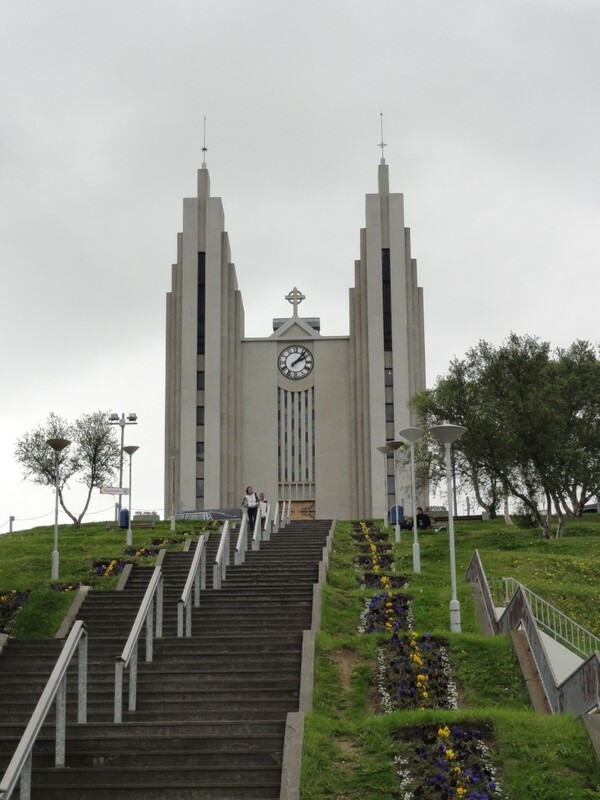 Next, we admired the Akureyrarkirkja, a columnar basalt-themed church that was designed by the same architect who built Reykjavik’s famous Hallgrimskirkja. Finally, we visited the historic district for some food and shopping. View of historic Akureyri. We highly recommend Cafe Paris, in the blue building on the right. The soup and bread is delicious! 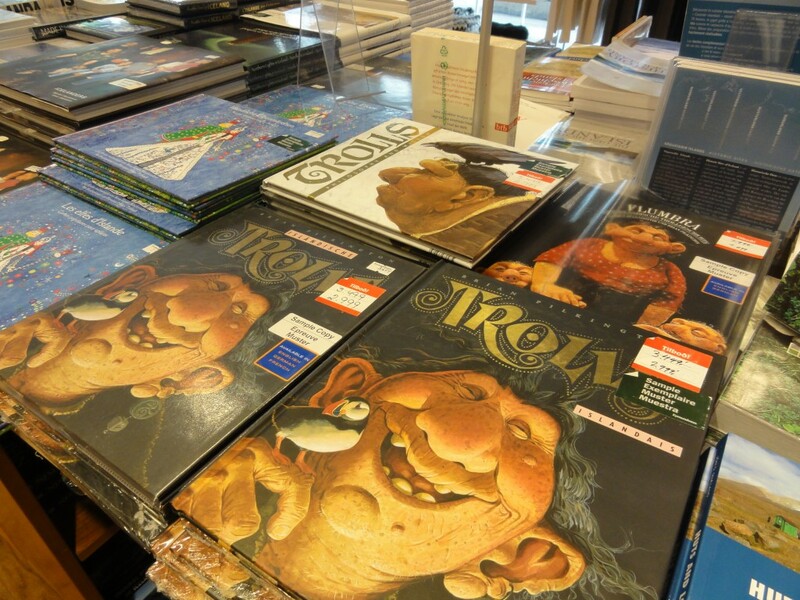 Perhaps a little light reading for the trip home? 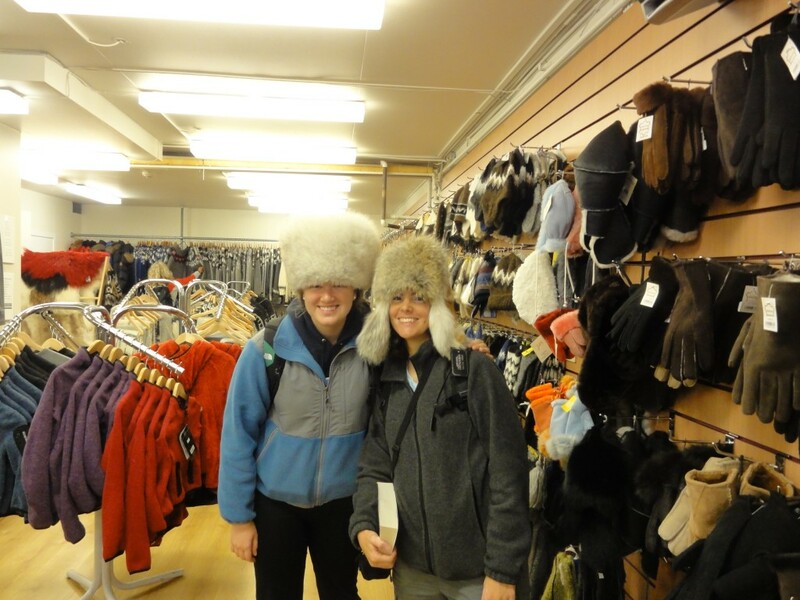 Lindsey and Dr. Pollock find hats for their next field experience. A day in Akureyri was the perfect way to celebrate the successful end of two I.S. field projects. We happily headed back to our cabin in Blonduos, where we packed up for our journey back to Hafnarfjordur and started working on our GSA abstracts, which our Estonian colleagues have inspired. 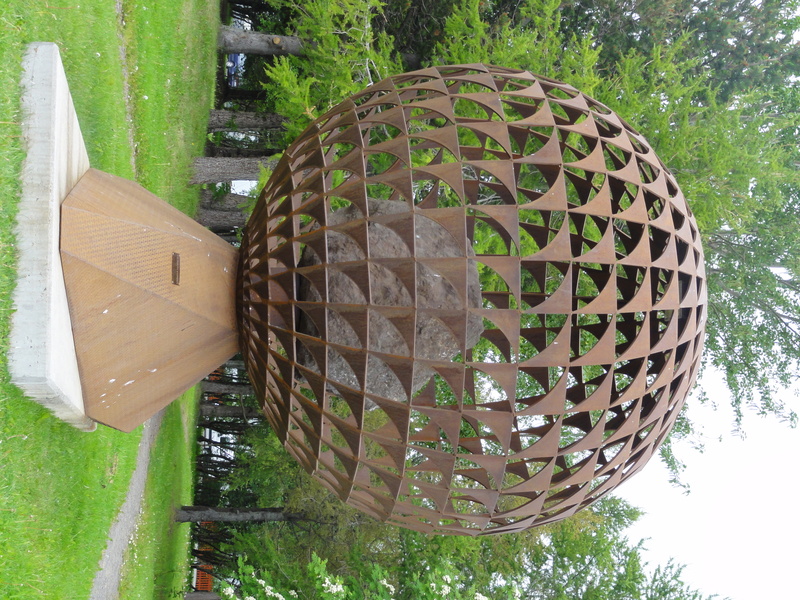 I think that sculpture means basalt is best kept in cages. 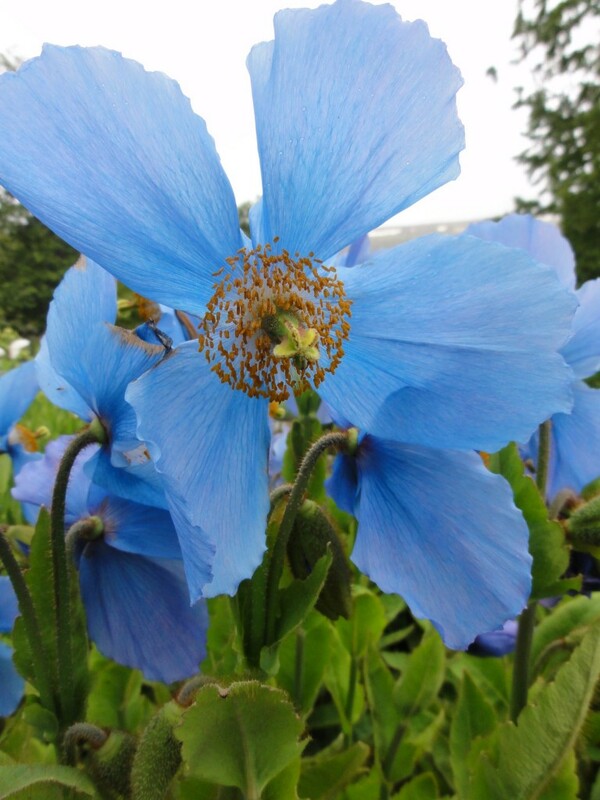 Excellent flower photographs! Next I’ll expect an insect or two. Mark: perhaps, but only because the unleashed power of basalt is capable of bringing the world to it’s knees!